The pre-Christian Norse religion wasn’t only a set of grand myths and the gods and creatures who filled them. It was an entire worldview in its own right – and one that was very, very different from any of the worldviews that most people are familiar with today. This unfamiliarity is due to two factors: 1) the way the Vikings expressed their worldview, and 2) its content. 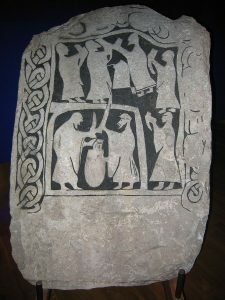 The Vikings hadn’t yet acquired the intellectual tool known as logos – “the abstract concept, the method of theoretical exposition, the reasoned system – one of the greatest discoveries in the history of the human mind.” As much as we today take that mode of thought for granted, it has been the exception rather than the rule throughout human history, and, at least in a Western context, it has a particular history that began in ancient Greece. What made the first philosophers philosophers was that they expressed their ideas through logos rather than mythos, the concrete, story-based, nonrational idiom of myth. In the Viking Age, classical civilization, including the philosophical tradition, hadn’t made many inroads into the Norse lands of Scandinavia and the North Atlantic islands. 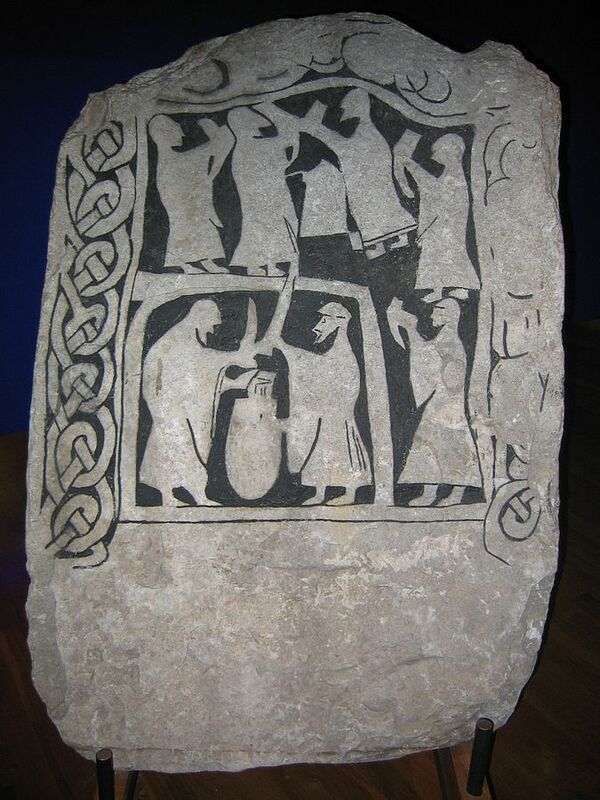 Its entrance went hand-in-hand with the Vikings’ conversion to Christianity. So, as far as we know, the pagan Norse worldview was expressed exclusively in mythos rather than logos. The sources of our present-day knowledge of the Vikings’ worldview contain beautiful, vivid tales and images, but no philosophical or theological discussions written by a pagan hand. But when we moderns want to understand a worldview, we seek to understand it in terms of logos rather than mythos. In order to make the Vikings’ worldview comprehensible in these terms, a process of “translation” from mythos to logos is necessary. That’s what the articles in this section of this site endeavor to do – to go beyond the stories and characters to identify and discuss the abstract concepts that existed in Norse mythology and religion in a latent state. 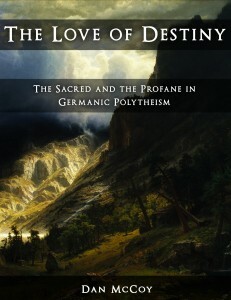 • The Enchanted World: The Norse saw the world as a place infused with sacred meaning and divine presence – in contrast to both modern materialism and salvation-centered religions. • Fate – Wyrd/Urd: Blind, amoral fate was the main way the Vikings explained why things happened the way that they did. Even the gods were subject to fate. • Magic: The Norse believed that magic was a real force at work in the world. 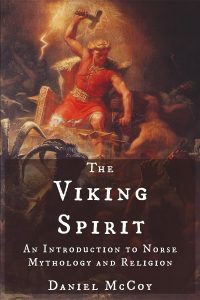 • Shamanism: The Norse also practiced shamanism and believed in its efficacy. • Seidr: One of the main kinds of Norse magic and shamanism. • Innangard and utangard: The distinction between what was holy, civilized, and orderly (innangard) and what was unholy, wild, and chaotic (utangard) was very important to the Vikings. They organized both physical space and their spiritual cosmos around these concepts. • Death and the Afterlife: What the Norse thought happened to someone after he or she died. • The Self and Its Parts: The Vikings wouldn’t have agreed with our division of the self into a body, mind, and perhaps a soul as well. They thought of the self in different terms. See also The Vikings’ Selfish Individualism for more on some of the social/moral aspects of the Norse view of the self. • Totemism: The Vikings saw themselves as being spiritually related to various animals in certain contexts. • Óðr: Óðr is an Old Norse word that meant “inspiration,” “ecstasy,” and “fury.” It played a central role in some of the Vikings’ religious practices and myths, as well as the character of the god Odin. • Dreams: What the Norse believed about dreams and their significance. Jonas, Hans. 2001. The Gnostic Religion. p. 21. Hatab, Lawrence. 1992. Myth and Philosophy: A Contest of Truths.